When we bought this couch a couple years ago, we intentionally did not get one that had cushions on the back. Why? 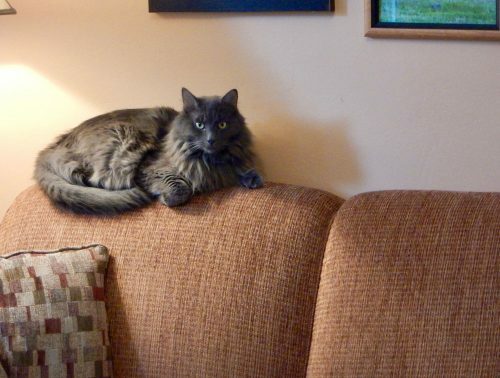 Our previous couch had cushions and the cats liked to lie on them, so they were completely squished. I think this is the first time I’ve seen one of the cats on the back of this couch, and, as planned, it doesn’t squish.